As an eighth-grader in a Cambridge public school, suspected Boston Marathon bomber Dzhokhar Tsarnaev was quiet, friendly, spoke good English and seemed at home in his adopted country. While hundreds of police officers pursued the 19-year-old during a nationally-televised rampage across Boston Friday, a former classmate recounted memories of the refugee who, according to counterterror officials, became a U.S. citizen on an ironic date: Sept. 11, 2012. The story of the Boston bombers, Dzhokhar Tsarnaev and his 26-year-old brother, Tamerlan, is still unfolding at high speed. Many aspects of the case, including the brothers’ motivations, are not yet clear. But a portrait began to emerge Friday based on ProPublica interviews with counterterror officials, the public statements of relatives and associates, and reports in the media. Counterterror officials believe the brothers were Islamic extremists. And the information available so far suggests that they appeared to integrate well into U.S. society, yet slid into a spiral of Islamic radicalization with bloody results. The profile has similarities to the home-grown terrorists behind attacks in Madrid in 2004 and London in 2005, according to counterterror officials. At some point, however, Dzhokhar and his brother plunged into a subculture that is grimly familiar to counterterror agencies in Europe and, to a lesser but worrisome extent, the United States, officials said. There are signs that the brothers showed interest in the conflict in Syria, which has drawn al Qaida fighters and other militants from across the Muslim world and Europe, according to a U.S. counterterror official. Like others interviewed for this story, the official requested anonymity because he was not authorized to discuss the ongoing case. The brothers had viewed videos about the plight of Syrian Muslims, the official said. Syria is the latest hotspot on the world map of jihad. Holy warriors a decade ago were inspired by videos about brutal combat between jihadis and Russian troops in the brothers’ family homeland: the predominantly Muslim region of Chechnya, a breeding ground for al Qaida fighters in the late 1990s and early 2000s. Tamerlan had viewed a video titled “I Dedicate My Life to Jihad,” according to a U.S. law enforcement official. The brothers also were apparently influenced by the online Inspire magazine, a slick English-language publication that plays a strong role in disseminating ideological tracts and bomb-making techniques to Western extremists, the U.S. counterterror official said. The brothers had traveled in recent years to Russia, officials said. Tamerlan returned via New York from a trip to Moscow in July 2012, according to a U.S. law enforcement official. But officials said nothing so far indicates recent travel to Chechnya, in southern Russia, or war zones where terrorist groups provide training and direction to Western recruits. “The big question is, are they part of a bigger network or just two brothers who decided to do this and pulled it off on their own?” the law enforcement official said. The well-choreographed bombing, the preparation of multiple explosive devices and the ferocity with which the fugitives battled police could indicate overseas training, officials said. Suspected Chechen terrorists have been arrested in alleged bomb plots in Denmark, France and Spain in recent years. The failed “underwear” bomber who tried to blow up a plane over Detroit in 2009 was trained and deployed by al Qaida in Yemen. Would-be bombers in plots against New York in 2009 and 2010 were directed by al Qaida and allied networks in Pakistan. The brothers are ethnic Chechens whose family moved around the war-torn Caucuses region when the boys were young. Tamerlan was born in Dagestan, near Chechnya, and Dzhokhar in Kyrgyzstan, according to officials and media reports. They went as refugees to the United States, arriving separately, according to counterterror officials and televised statements by an uncle in Maryland. Dzhokhar arrived in 2002 on a tourist visa, obtained permanent resident status in 2007 and became a citizen in 2012, officials said. Tamerlan was admitted as a refugee in 2003 and later became a permanent resident, officials said. Tamerlan has an arrest for domestic violence on his record, the law enforcement official said. The family lived in Cambridge when Dzhokhar was in middle school at the Community Charter School of Cambridge, according to his classmate, Blauchner. 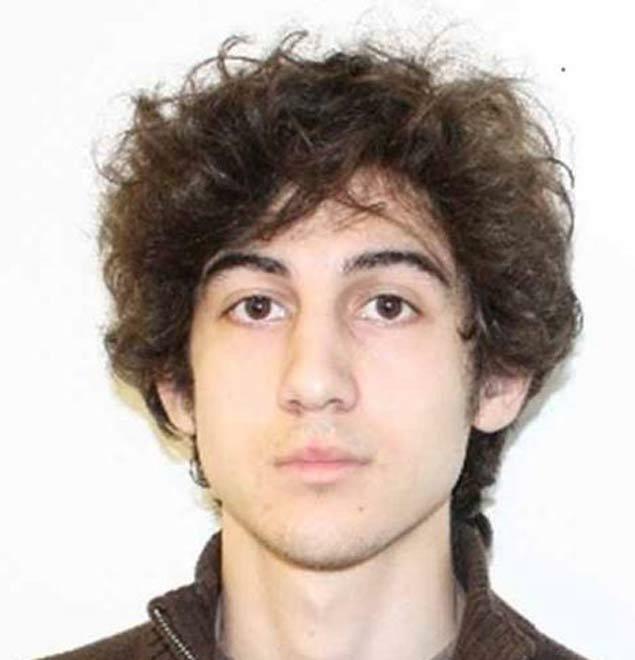 Dzhokhar stood out in a mostly African-American student population, but he got along well with classmates at the school, which stresses academic rigor and strict discipline, according to Blauchner, now a sophomore at the University of Chicago. Dzhokhar had long hair and was short, pale and thin when Blauchner knew him in seventh and eighth grade. The immigrant boy wore the school-mandated uniform of khaki pants and a white, black or red polo shirt. He often ate lunch in the cafeteria with Blauchner and friends of Ethiopian and Bengali descent. Dzhokhar studied hard and stayed out of trouble, according to Blauchner, and went on to win a scholarship, according to media reports. He was a student at the University of Massachusetts Dartmouth, according to media reports. Although he has not seen Dzhokhar since they graduated from middle school, Blauchner said he recognized his former classmate from the photos made public by the FBI. Blauchner was stunned. The frenzy after the Boston Marathon attacks recalls the aftermath of the bombings on public transport systems that killed 191 people in Madrid in 2004 and 52 people in London in 2005, as well as a failed bombing in London two weeks later. Those cases similarly featured frantic manhunts, publicized photos of suspects, and chaotic and confused media reports. In Madrid, police tracked down a group of suspects who died after a shootout when their booby-trapped hideout exploded, killing a police officer. The profiles of the Madrid and London suspects resemble the information emerging about the Tsarnaev brothers. Spaniards and Britons were shocked to discover that the terrorists had grown up in their midst and benefited from the comfort of Western societies. A Tunisian-born leader of the Madrid bombers had received a Spanish university scholarship and was a well-liked employee at a real estate agency. A Moroccan-born leader spoke street Spanish, was known by the nicknames “El Chino” and “Mowgli,” dealt drugs and zoomed around with his long-haired Spanish girlfriend on a motorcycle. Several convicted bombers in the failed London attack had come to Britain as children thanks to generous asylum policies for refugees from East Africa. Three of the suicide bombers who died in the successful attack two weeks earlier were seemingly well-integrated, British-born sons of Pakistani immigrants. Yet, despite their Western ways, the attackers in London and Madrid harbored deep hatreds and inflicted indiscriminate slaughter on their fellow citizens. Young men from Muslim immigrant backgrounds who radicalize in the West get swept up in the seductive outlaw culture of jihad. They construct a new identity in which the struggles of their Muslim homelands, even if they do not know them well, play a powerful role and foment anger at the West. Counterterror officials say a similar trajectory could explain why the Tsarnaev brothers designed an attack on families at a festive sporting event. Whatever the motive turns out to be, the fact that the brothers spent years in Boston sheds light on their choice of target. They likely knew the significance of the marathon, the ebb and flow of the crowds during the race, the geography. It remains to be seen whether they considered the symbolism of the date: April 15 was both tax day and Patriots’ Day, marking the first battles of the American Revolution. The choice of the day led some counterterror officials in recent days to suspect that the bombers were American-born, extreme-right, antigovernment terrorists. In reality, it appears the suspects were the mix that most worries law enforcement: longtime Americanized residents who know the society well, but have a profile enabling them to develop connections to Islamic extremist ideology, if not actual movements, overseas. The Madrid bombers had strong ideological links to al Qaida, but carried out the attacks with minimal overseas training and direction. The London bombers, in contrast, communicated with al Qaida masterminds who provided training and directed them to their targets from Pakistan. The results in both cases were devastating. Now, U.S. intelligence officials are combing through files, intercepts and data bases to see if they had previous information on extremist activity of the Tsarnaev brothers. In Madrid, London and many other cases, the attackers had earlier surfaced on the radar screen of law enforcement. That is not necessarily a scandal; it is simply the reality of the terrain of counterterrorism. Sebastian Rotella provides a good backgrounder, particularly on the younger brother, Dzhokhar Tsaraev , and how he unobtrusively blended into our American culture, according to most of his schoolmates that they quoted. Rotella indicates that the older brother, Tamerlan, may have been even more radicalized, and his emphasis on Muslim religious customs seems to have been a change in his more recent behavior. That said, research made public, so far, does not seem to have pinpointed the full scope of the motivation for them to want to kill and maim innocent Boston Marathon runners and their families and friends. More will be revealed with time.